Another deluge of curio mounts as the astronomer, Dustin Lang from the University of Toronto, tweeted about a baffling X-shaped bulge, comprising stars and interstellar matter, lying at the heart of Milky Way’s flat structure. Further analysis of this massive structure can lend a fair insight of how the galaxy was formed, scientists envision. “The bulge is a key signature of formation of the Milky Way. If we understand the bulge, we will understand the key processes that have formed and shaped our galaxy” says Melissa Ness, who is a postdoctoral researcher from the Max Planck institute for Astronomy, Germany. “The X-shaped morphology of the bulge in itself and the fraction of bulge stars that comprise orbits within this structure has important implications for the formation history of the Milky Way, and spiral galaxies in general” published by Ness and Lang, who are expected to team up as a proper and detailed research starts off. They haven’t really done anything to truly study the X-shaped object yet. Luke Davies, from the International Centre of Radio Astronomy Research, and other scientists seem to ratify the postulations about this enormous X-shaped structure made by Lang and Ness. 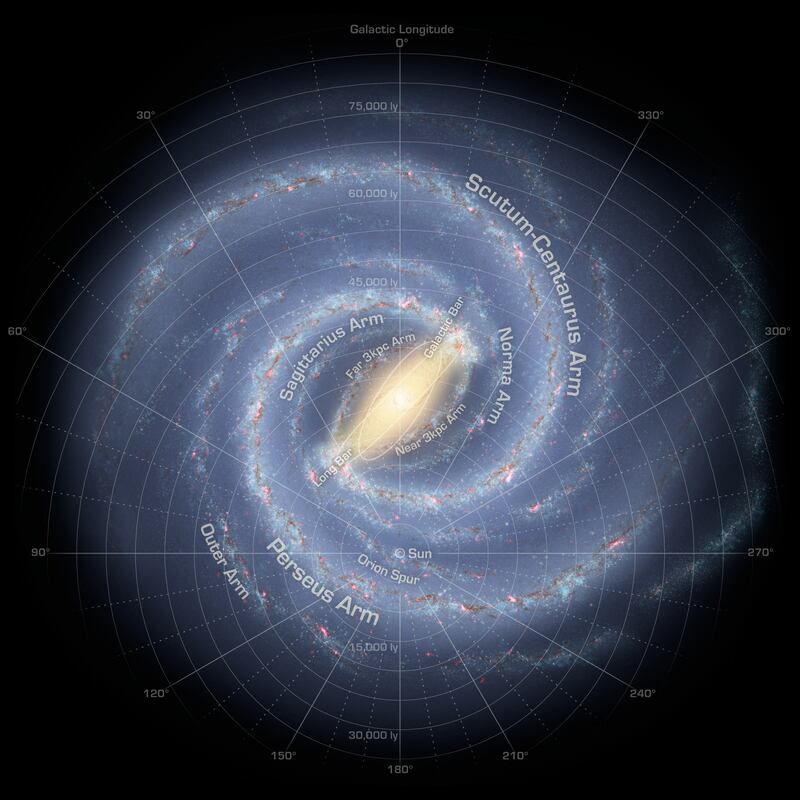 Current data shows that no other major event had taken place since the Milky Way formed, retaining the ‘X’ shape, which the object, this enormous, wouldn’t have maintained otherwise. All agree, however, on its existence to further assist our understanding of how the Milky Way galaxy happened to form.